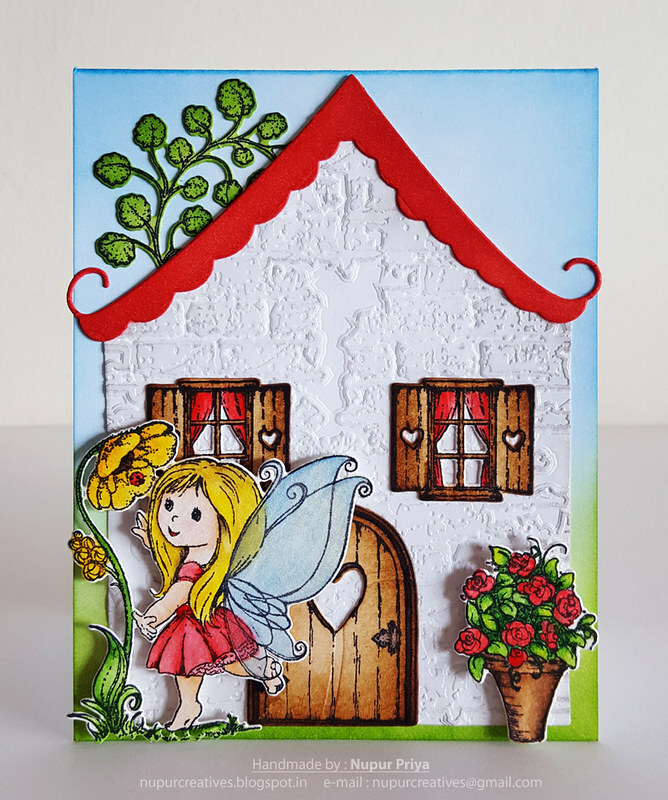 Come away with us and discover the whimsical world of Wildwood Cottage, the newest collection by Heartfelt Creations. Unleash your imagination and explore magical gardens filled with light and airy florals, chirping birds, fluttering butterflies and of course the playful and enchanting sprites that call these gardens home. 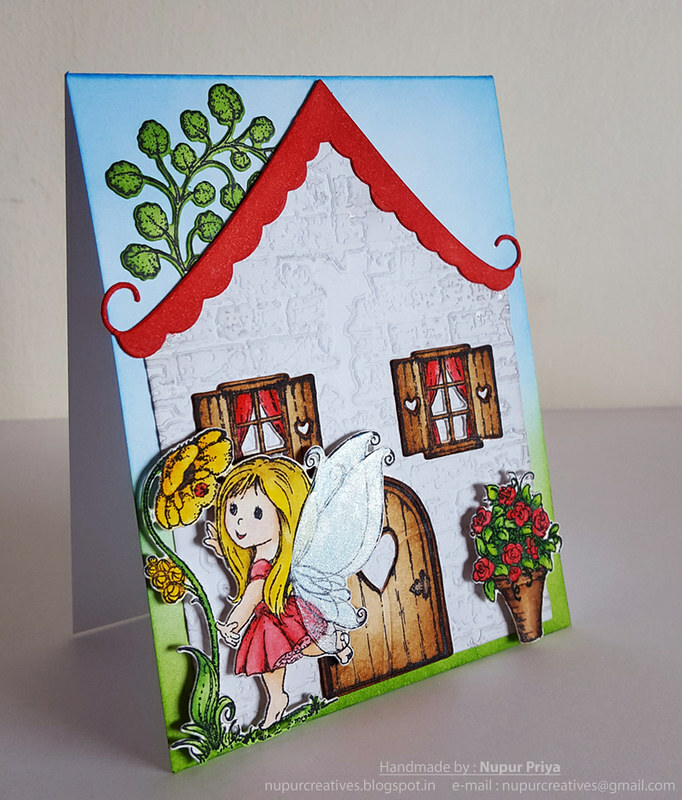 Create your very own captivating fairy garden with this extraordinary collection featuring four beautifully illustrated cling stamp sets and coordinating dies! 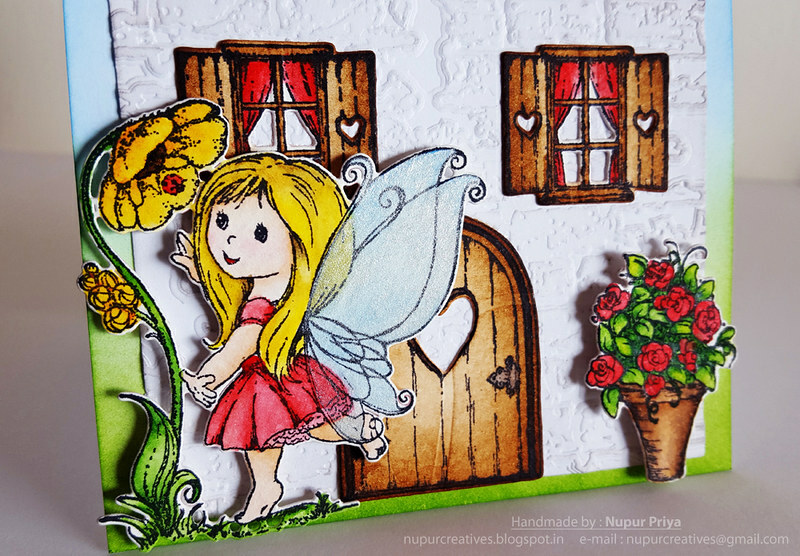 Fill your fanciful garden scenes with playful fairies, dimensional garden accents, cheery florals and of course enchanting cottages for the spirited sprites to call home. The softly hued paper collection is sprinkled with pretty garden shades resembling moss like greens, lilac lavenders, pansy purples and hydrangea blues accented with daisy like yellows, whites and petunia pinks! Delicate chevrons, ornate floral swirls, along with dainty polka dots and eyelet lace like designs are just a few of the graceful finishes showcased among this decorative paper collection and have been incorporated into heartwarming full page cottage and garden scenes ideal for scrapbook layouts, as well as various sized premade card front panels ideal for quick and easy card bases! The perfect collection to add a touch of sunshine, and bring smiles to the faces of friends and loved ones during those long winter days! Isn't she adorable... I added shimmer to her wings & love how it turned out!